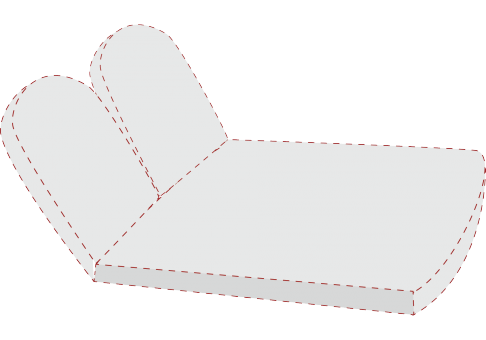 Because your double chaise does not meet one of our standard shapes online, you will need to mail us a template. Our seasoned sewers can make virtually any shape cushion, but you will need to make sure your template is accurate. We recommend placing your created template on your chaise to make sure it fits properly. 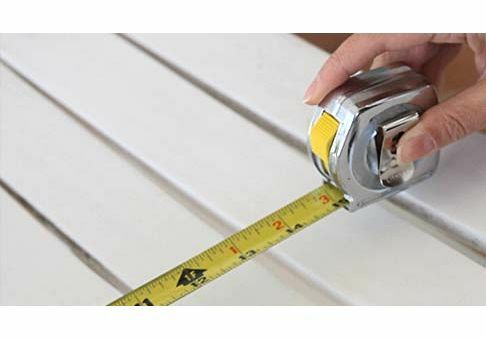 Don't forget to measure each break of your chaise. Measurements do not include thickness of welting. 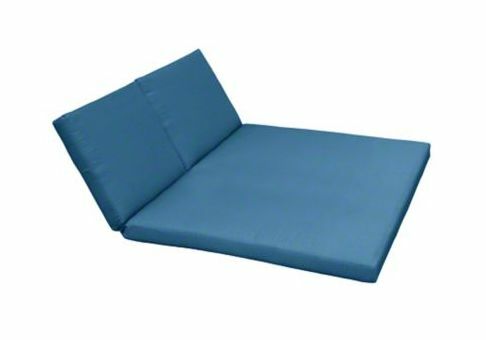 Let us exceed your expectations by providing the perfect custom-made standard double chaise cushion to accentuate any indoor or outdoor area. 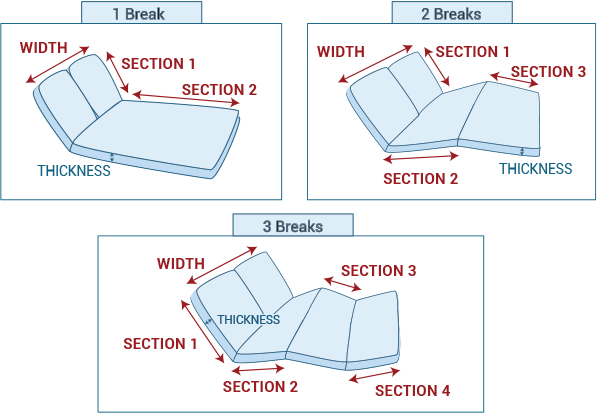 This cushion has 1 break making 2 sections. This cushion has 2 breaks making 3 sections. This cushion has 3 breaks making 4 sections. Joining Piece connection uses a flap of fabric to connect your cushions. The flap size is the same thickness as the cushion, which allows you to place the back on top of the bottom, and to also fold it.